It’s no secret that I love Dragoon. The gameplay is fun, and the rules are reasonably simple to pick up. The components in the Gold Edition are some of the nicest game pieces you find in any game on the market. The components for the newer Standard Edition are less impressive, but not by much and are still well above most other games. It’s just great. So when circumstances forced me to hold off on reviewing the Rogue and Barbarian Expansion a bit I was a bit disappointed. It did make a brief appearance in my video on Heads Will Roll, but with Life Siphon kicking it on Kickstarter right now, the timing was right to pull it back out. 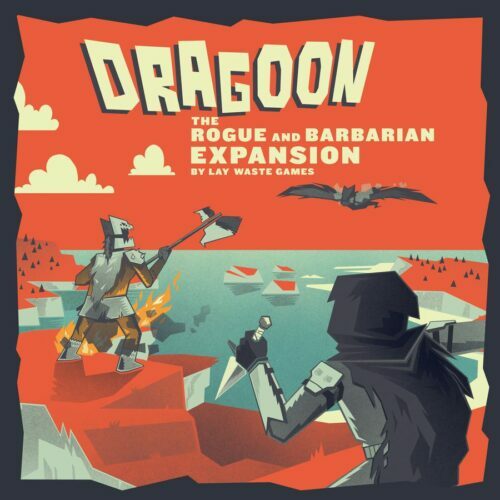 The Rogue and the Barbarian Expansion has two main additions to the game. If you’ve you had your morning coffee, it should be easy enough to surmise that they are a Rogue character and a Barbarian character. (Shocking, right?) With them, the game can hold up to 6 players, and both new characters tweak the base rules slightly. The Barbarian Plays similarly to the Dragons. Instead of a stationary cave, the Barbarian enters play from a ship outside the board. When he first enters play, and anytime he is removed from the board (instead of being sent back to his nonexistent cave), he chooses an edge of the board and rolls a die to determine which square he starts in. After that, if he is in the square adjacent to his ship, he can take an action to board it and move to any other square along the outside of the board. If another player is in the square adjacent to his ship, they can sink it, costing the Barbarian three gold. Besides his ship, the Barbarian moves and claims territory almost identically to the Dragons. He also has his own deck of cards to draw from, with slightly different mechanics than the main game. The Rogue plays very differently than anything else in Dragoon. To enter the board at the start of the game (or, like the Barbarian, after he gets removed from the board by something) the Rogue selects any row or column and rolls a die to see which space he starts in. 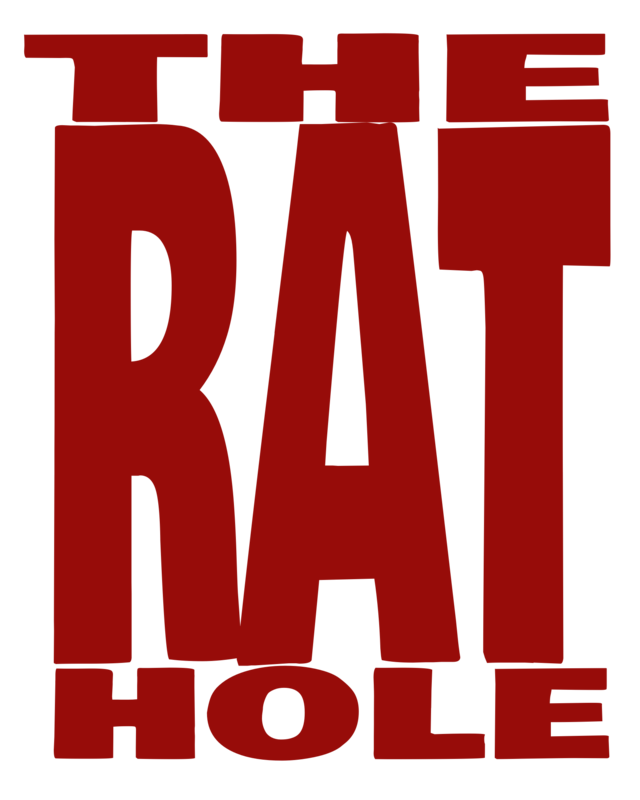 Instead of the normal method of claiming population tiles, the Rogue uses tunnels to both claim a tile and as a shortcut around the board. He can build a tunnel in any space that doesn’t already have a tunnel, including in a dragon’s cave or in the same space as another player’s totem. He collects Tribute exactly the same as everyone else, except a dragon’s cave with a tunnel can count as a village for him. The Rogue also has six equipment cards, each of which grants him a different action. He can only have four of the six equipment cards in play at once, and in most cases, he can only choose to use one of those cards on his turn. Another interesting difference with the Rogue is his movement and combat rules. The Rogue only engages in combat if a turn ends with him in a space with one of the other players. That means he can move through other players, and they can move through him, without being stopped and forced to fight. Part of the reason for this is that unless he has the Poison Dagger equipment card in play, he automatically loses in combat. I haven’t been able to try a full six-player game yet, but there is just so much potential with having these extra characters in play. Just like the base game, the expansion comes in a Standard or Gold edition, although neither character is finished in real gold this time. The only thing that’s disappointing with the game is the Rogue’s tunnel tokens. The tokens are made of cardboard and are still above average quality given that fact, but I would have much preferred a metal coin/token. It just feels like a missed opportunity to be even more awesome. Speaking of being more awesome, what’s more awesome than a BONUS REVIEW!? When Lay Waste Games put this expansion on Kickstarter they also created a special character for Patrick Rothfuss’ charity, Worldbuilders. The BARD-Barian plays by the same rules as the Barbarian, but with a few extra rules. Combat Bard: When rolling for combat, sing a triumphant diddy. Sea Bard: When riding the ship, hum a sea-worthy diddy. The Bard-Barian is a beautiful figure, and worth having just to have honestly. You can also check out our CrowdFUNding Spotlight their newest game Life Siphon; on Kickstarter until April 17, 2019.